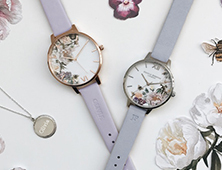 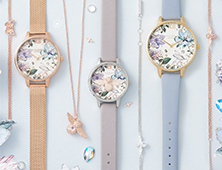 Journey to an enchanted garden courtesy of this striking big dial. 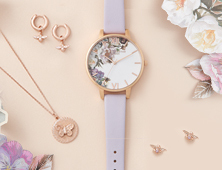 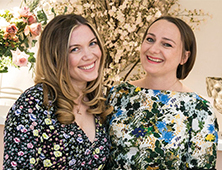 Hand-illustrated with colourful blooms and a butterfly motif, the piece has got attention to detail covered. 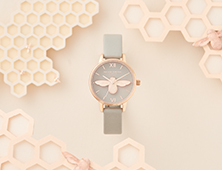 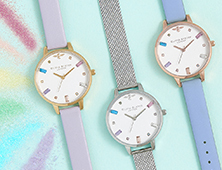 It's presented in a gold-plated case and fastens with a chalk blue leather strap our new colour crush. 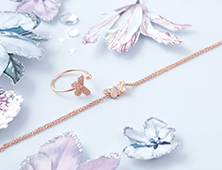 Style yours with our 3D Daisy jewellery to continue the botanical mood.